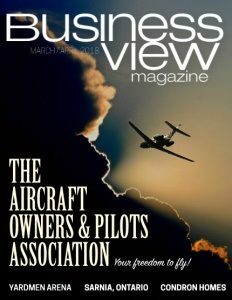 Business View Magazine interviews Mark Baker, President & CEO of the Aircraft Owners & Pilots Association as part of our focus on best organizational practices. In 1939, when the Aircraft Owners & Pilots Association (AOPA) was founded in Wings Field, just outside of Philadelphia, by five intrepid aviators who were concerned about their “freedom to fly,” there were only about 12 or 13 thousand private airplanes in the U.S. and a little over 30,000 pilots. 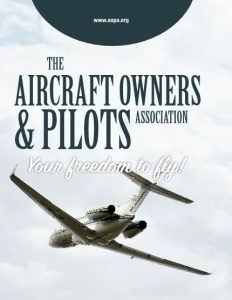 Today, with over 200,000 general aviation airplanes in the country, and about 300,000 members, AOPA is the world’s largest community of aviation enthusiasts, representing more than two thirds of the country’s general aviation pilots – those who fly non-airline or non-military-based aircraft. Although it has increased in size over the years, “it has stayed true to its original concept, and is just as relevant today,” says AOPA President & CEO, Mark Baker. Today, the Association, based in Frederick, Maryland, has about 250 employees. Its mission in protecting the freedom to fly still includes: advocating with federal and state governments and agencies on behalf of its members; educating pilots, non-pilots, and policy makers, alike; supporting activities that ensure the long-term health of general aviation; and fighting to keep general aviation accessible to all. Membership in AOPA has many benefits. One is its Pilot Information Center, where people can get expert information from a group of skilled pilots, medical certification specialists, and flight instructors, on such topics as: international flight guidance, pilot and aviation-related topics, aircraft ownership and insurance, and legal and medical issues. Every year, the specialists at the Pilot Information Center respond to more than 200,000 member questions via phone calls, emails, online chat, and letters. Another benefit is AOPA’s Pilot Protection Services, which is comprised of a Legal Services Plan and Medical Certification Services. “We offer legal services in case somebody has a legal issue,” says Baker. “We have about 4,500 calls coming in, every year, related to Pilot Protection Services. Someone going astray and violating some airspace is a typical one. They can call here and get referred to an attorney who will give them several hours of consultation that will help them navigate through that process.” The Legal Services Plan also advises on aircraft sales and title matters, as well as aircraft accidents. Medical Certification Services includes advice about medical exams, and reviews of members’ FAA (Federal Aviation Administration) medical applications and documents before submission to help avoid problems and delays. Another important part of AOPA is “You Can Fly,” an umbrella program that works to make flying more accessible and affordable. 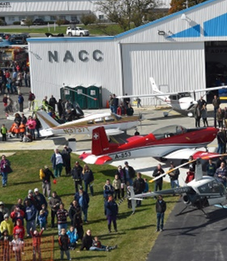 It supports flying clubs; encourages best practices in flight training; gets lapsed or “rusty” pilots back in the air; brings resources and expertise to pilot groups across the country; and helps high school students learn more about careers in aviation. You Can Fly is funded solely by the AOPA Foundation, the philanthropic arm of AOPA. As part of that effort, AOPA, with the support of Foundation donors, created the “You Can Fly Academy,” one part of which is the development of a high school aviation STEM (Science, Technology, Engineering, and Mathematics) curriculum. “Our ninth grade STEM curriculum is now being tested in 29 high schools,” Baker reports. “A tenth grade curriculum will roll out in a test phase in the fall of 2018. We also do a high school educators’ symposium once a year, where we bring together educators from around the country and discuss how we can continue to grow the high school STEM/Aviation curriculum.” When finally complete, the AOPA STEM aviation program will be the first of its kind, offering students comprehensive four-year aviation study options that are aligned to rigorous math and science standards used in many states nationwide.